SecureIT Plus offers the perfect mix of security technology for the best protection available. With SecureIT Plus you no longer have to worry about computer protection. 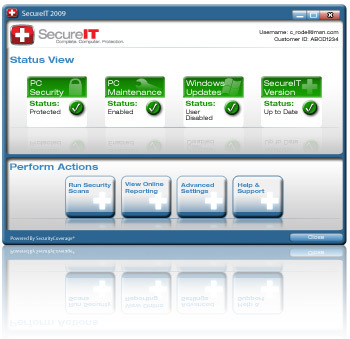 We've removed the guesswork by ensuring SecureIT Plus has everything you need to stay protected. With SecureIT Plus you simply install it and forget it. You'll never receive annoying pop-ups to download, upgrade, or allow/deny an action. It simply works for you in the background without interrupting your computer experience. Want even more protection? Click here to learn more!